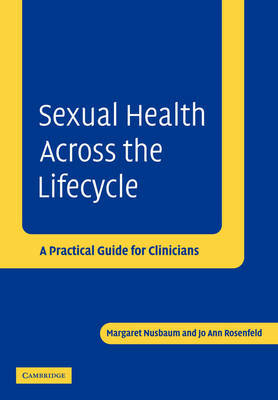 This is a practical, positive approach to sexual health promotion for clinicians in primary care. It presents sexual concerns across the lifecycle, from childhood to old age, illuminated throughout by scenarios based on real life. It highlights common sexual issues from different age groups. Additionally it has chapters on sexuality and disability, sexual minorities, HIV-positive individuals, and complementary medicine. Each chapter serves as a practical resource to facilitate better care and communication with patients. Common sexual difficulties, approach to evaluation, and interview techniques, as well as management are presented in a practical manner. Numerous illustrations will assist the clinician in advising patients with back pain, who are pregnant, or who have chronic illnesses on how to make adjustments to their sexual life to maximize their quality of life. It presents an invaluable resource for all health professionals that spans the needs of patients from all backgrounds and age groups.